This Winter Break, Get Out and Get Active, Girl Scout Style! Off from work for a week or two? The kids on winter break from school? Don’t just cozy up in the house the whole time. This holiday season, spend quality time with family and friends in the great outdoors, Girl Scout style! Why? Because the outdoors is infinitely FUN. There are endless things to discover and learn from! Plus, spending time outdoors is critical for physical and emotional health. Specific to girls, research has shown that even one outdoor experience a month benefits them, especially girls of comparatively low socioeconomic status. In other words, the outdoors is not just fun, it improves health and wellbeing—one of our favorite combos! That’s why the outdoors is an integral part of the Girl Scout Leadership Experience. At Girl Scouts, we offer girls outdoor experiences in a safe, all-girl space where they’re free to stretch their minds and expand their skills, taking on challenges they might not feel as comfortable with in a coed environment. 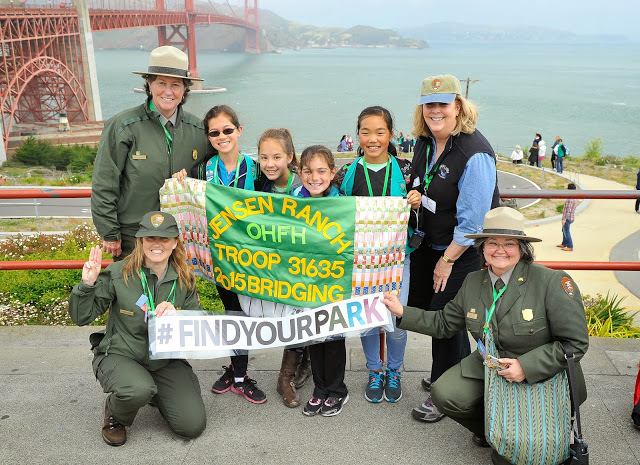 Girl Scouts has partnered with the National Park Service to encourage girls to visit a national park, monument, historical site, or seashore near them. While there, they’re encouraged to earn our Girl Scout Ranger patch introduced in 2015. Girl Scouts is actively involved with the National Park Service initiative Every Kid in a Park, which offers all fourth graders in the United States unlimited free admission for one year to any national park, historic site, seashore, or monument. At Girl Scouts, girls have access to more than 24 AWESOME outdoor- and STEM-related badges across Girl Scout grade levels—plus outdoor opportunities are woven into all of our core program materials. These badges (details below!) encourage girls to become environmental stewards by exploring the natural environment around them. 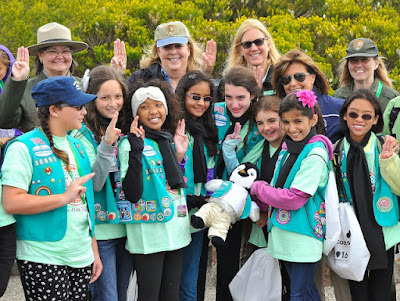 Girls learn about how STEM and the outdoors are linked, and they connect with female role models in environmental careers. …plus new Outdoor badges will be introduced in 2016—yeah! And guess what? Even the Obama administration recognized Girl Scouts’ commitment to outdoor education and healthy living for girls this year, welcoming us onto the White House lawn for the first-ever White House campout. We couldn’t be more honored! 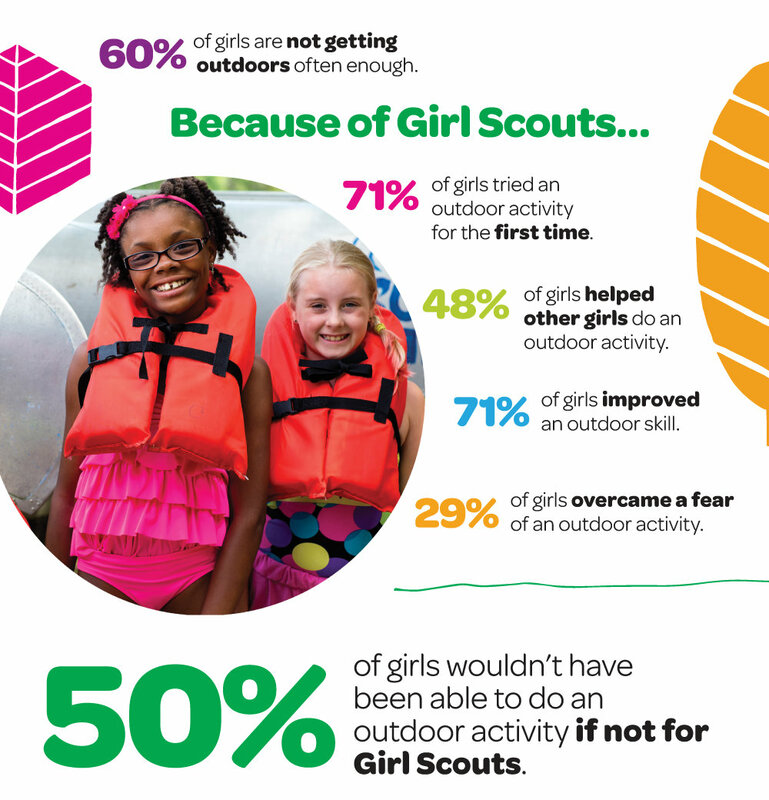 Plus, our More Than S’Mores research (2014) found that 50 percent of girls surveyed said they wouldn’t have been able to do a certain outdoor activity (e.g., archery, horseback riding, canoeing/kayaking) had it not been for Girl Scouts! Additionally, 72 percent of girls said they’d improved a skill through their outdoor experiences in Girl Scouts, and 29 percent even said the experiences helped them overcome a fear of the outdoors—so inspiring! Now if that’s not enough reason to get outdoors and get active this winter break Girl Scout style, we don’t know what is. Join us outside! It’s always a great time.